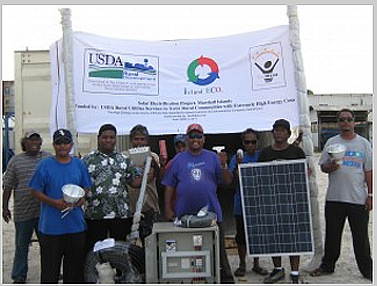 Island Eco, in conjunction with SunMana Ltd., successfully completed two competitive grants from 2009-20013 for “Assistance to Rural Communities with Extremely High Energy Costs,” which were awarded by the United States Department of Agriculture (USDA) Rural Utility Service to improve the lifestyle of the Marshallese people. 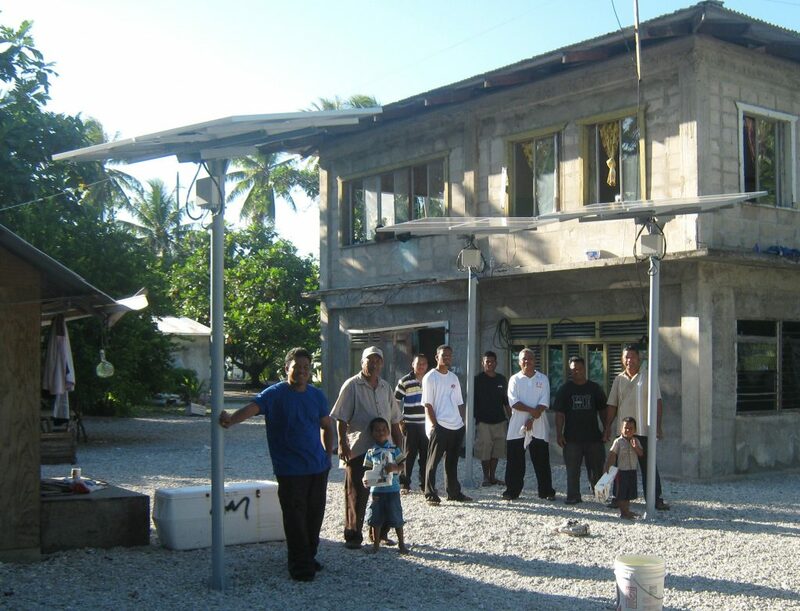 The aim of these two solar PV projects was to provide electricity, specifically solar powered lighting and refrigeration, to communities in the outer island atolls that would otherwise be without. Solar powered lighting is clean, reliable, more convenient than fossil fuel powered lighting, and significantly increases the number of activities that can be carried out at night such as reading, writing, creating handicrafts, food preparation, community meetings, and social functions. Refrigeration allows for food storage, thus increasing food security (especially during droughts), nutritional availability, and opportunities to store produce until shipping is available to off-island markets and businesses. Therefore, electrification has the potential to result in improved economic activity, literacy, education, gender equality, and social benefits. Design and construction of a demonstration house with 4.2 kW off-grid power system at located at Island Eco, which serves as a showroom for renewable energy technologies. Research on various models of implementation for sustainable solar electrification, data analysis and writing of research findings. 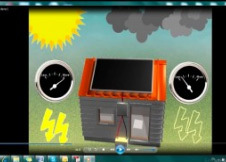 To view two videos from the installation of the projects please click here. 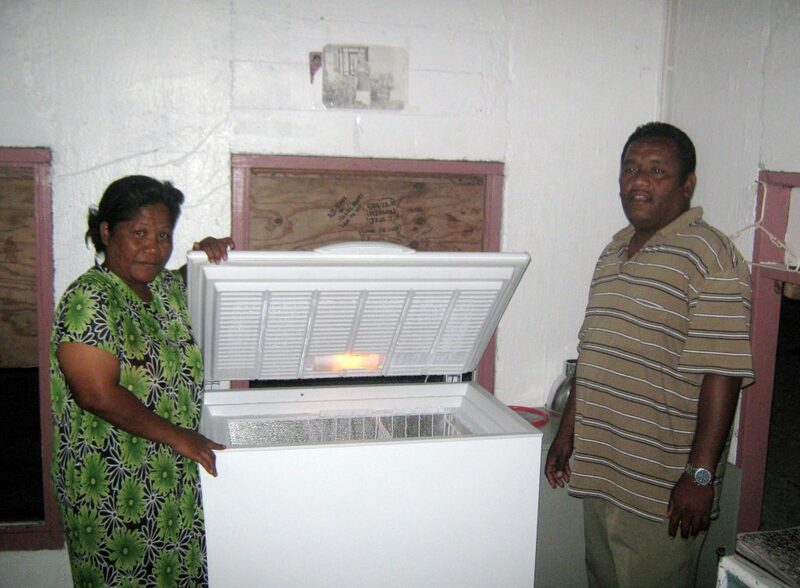 Recently, two additional projects were approved by the USDA, with an aim of providing solar powered lighting and refrigeration to an additional 219 households in need in in the Marshall Islands. The goals of these projects are to alleviate hardship and impacts from hazards on three Atolls, through lowering very high fuel costs, reducing disaster risk due to food shortages, improving nutrition, and meeting general community needs through electrification. To supply and install equipment to electrify 219 off grid houses at Majuro atoll with solar PV powered refrigeration-freezers and LED lights. 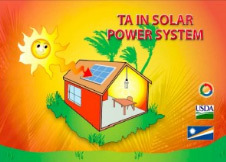 To use the Marshallese language book and animated video produced in the previous USDA projects, and other formal PV training materials to develop a formal class room and practical work based short-term training program in the fundamentals of PV systems, and in the installation, maintenance and troubleshooting of the equipment. 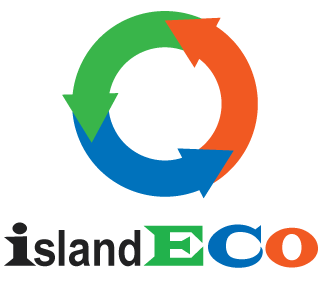 To undertake monitoring and evaluation of the systems installed, which shall be extended to the systems installed through the previous USDA funded projects implemented by Island Eco in the Marshall Islands. To view background information and updates on these new USDA funded projects being implemented from 2017-2018, please click here.